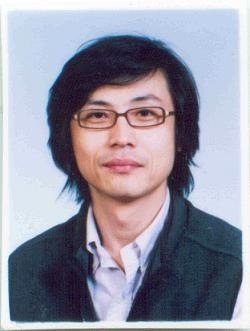 Professor, School of Electrical & Computer Eng. Somehow I get most of my publications listed under Samuel Noh in MAS; I am Sam H. Noh, not Samuel Noh. Publications found in all 3 links below are mine. Sam H.(Hyuk) Noh received the BS degree in computer engineering from the Seoul National University, Seoul, Korea, in 1986, and the PhD degree from the Department of Computer Science, University of Maryland, College Park, MD, in 1993. He held a visiting faculty position at the George Washington University,Washington, DC, from 1993 to 1994 before joining HongIk University, Seoul, Korea, where he was a professor in the School of Computer and Information Engineering until the Spring of 2015. 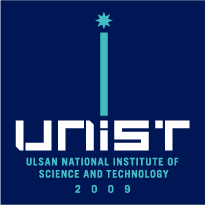 Starting from the Fall of 2015 he joined UNIST (Ulsan National Institute of Science and Technology), a young Science and Tech focussed national university, where he is a Professor and Head of the School of Electrical and Computer Engineering. From August 2001 to August 2002, he was also a visiting associate professor with the University of Maryland Institute of Advanced Computer Studies (UMIACS), College Park, MD. He has served as General Chair, Program Chair, and Program Committee Member on a number of technical conferences and workshops including the ACM/USENIX European Conference on Computer Systems (Eurosys: 2018), ACM International Systems and Storage Conference (SYSTOR: 2018), IEEE MASCOTS (2017), ACM Operating Systems Design and Implementation (OSDI: 2016), ACM Architectural Support for Programming Languages and Operating Systems (ASPLOS: 2018, 2016), USENIX HotStorage (2016, 2015), USENIX Conference on File and Storage Technologies (FAST: 2018, 2017, 2016, 2105, 2014, 2013), ACM SIGPLAN Conference on Languages, Compilers, and Tools for Embedded Systems (LCTES: 2015), IEEE International Conference on Parallel and Distributed Systems (ICPADS: 2013), ​​and International World Wide Web (WWW: 2003) Conference. He has also been serving as Editor-in-Chief​ of the ACM Transactions on Storage​ since the summer of 2016.